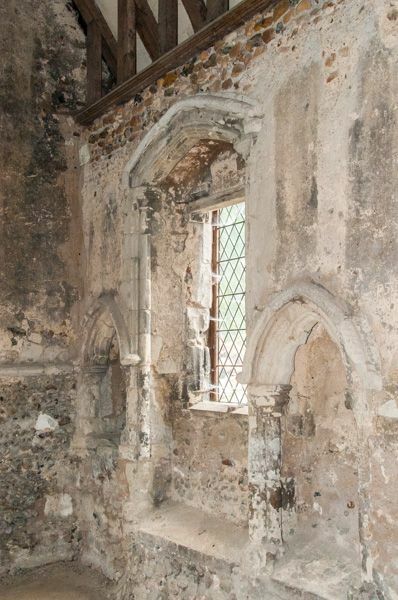 Remains of a simple 14th-century chantry chapel. 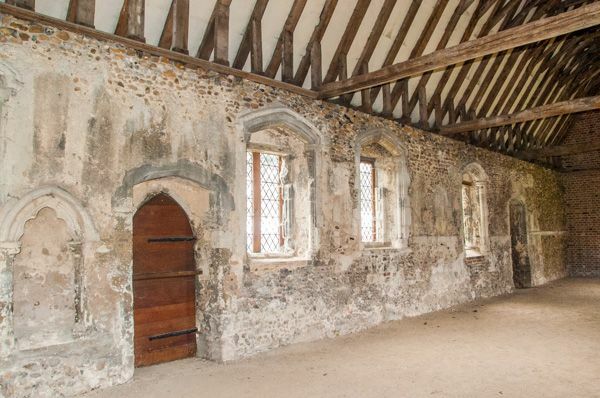 The chapel is unfurnished within, but offers a good example of a complete medieval building with little alteration. 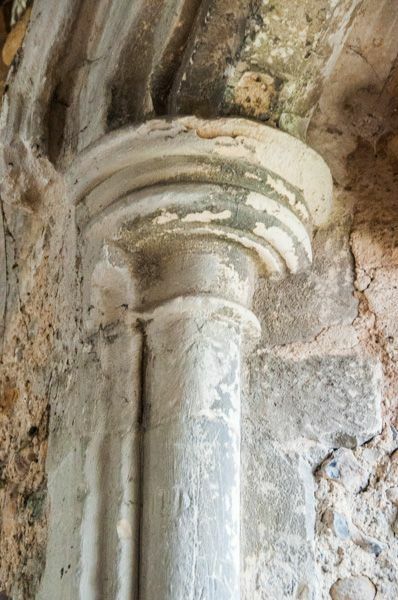 It may originally have been established as part of a hospital dedicated to St John the Baptist, occupied by a prior and brethren adhering to the Austin rule. Sometime after 1200, Sir William de Colville founded a hospital next to Whittlesford Bridge. 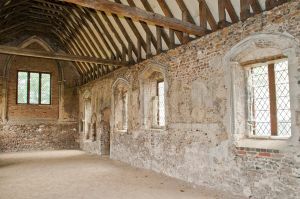 Unlike a modern hospital, Colville's medieval foundation was charged with offering accommodation to poor travellers as well as medical care to chronically ill or aged people. The hospital was in the care of a Master, aided by at least one brother, though the Master was generally an absentee official, while the brother, or Chaplain, lived on the site. The chapel was funded by the money from bridge tolls and income from a mill. 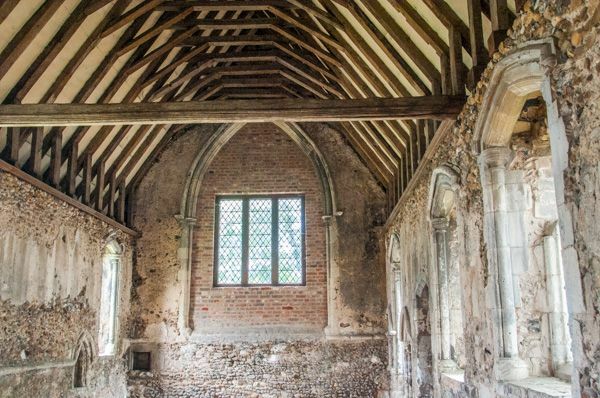 At some point in the 14th century the hospital was reorganized to be a free chapel; an isolated chantry where the job of the Master and Chaplain was simply to pray for the soul of the Founder. The members were appointed by the Bishop of Ely. They still collected bridge tolls, though they were called alms, in exchange for which they had to keep the bridge in good order. 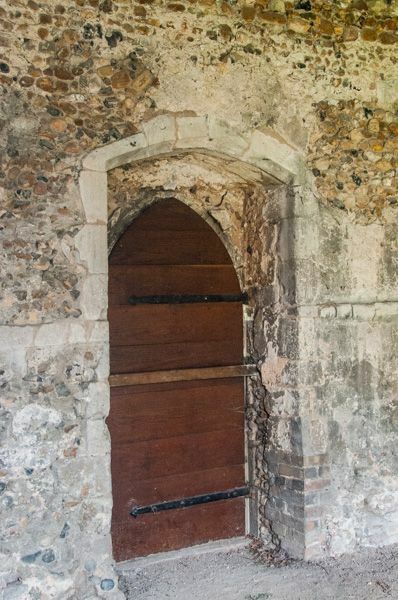 In 1548 chantries were dissolved by Edward VI, and Duxford Chapel eventually became a farm building, and if you look closely at the end wall you can see where wide wagon doors once stood. The Duxford Chapel stands immediately beside Whittlesford rail station. 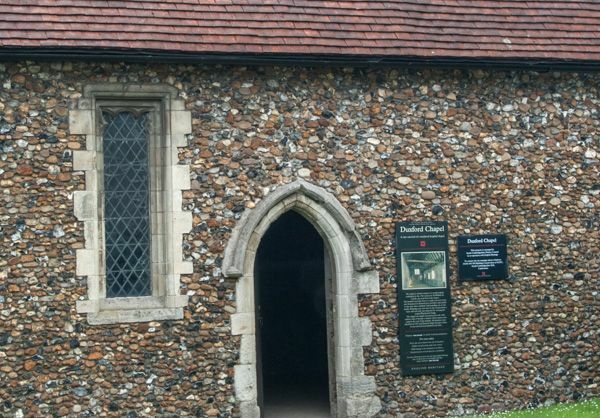 A short distance away in Duxford village stands the redundant church of St John's, which features some wonderful medieval wall paintings. Also at Duxford is the Imperial War Museum. Location: On the A505 at Duxford. The chapel is immediately beside Whittlesford Station.